Spring Time. O Henry Story. Reintroduced by P S Remesh Chandran. Spring Time. O Henry Story. Reintroduced by P. S. Remesh Chandran. O.Henry’s stories are famous for the twist towards their end. William Sydney Porter was the real person behind this name. He wrote more than Two hundred short stories, almost all of them equally famous. His stories are noted for the great sympathy they show towards human life. Here in this story he is describing how the happiness of spring is returning to Sarah’s life after the cold of a winter. Typewritten menus for a restaurant in exchange for three meals a day. 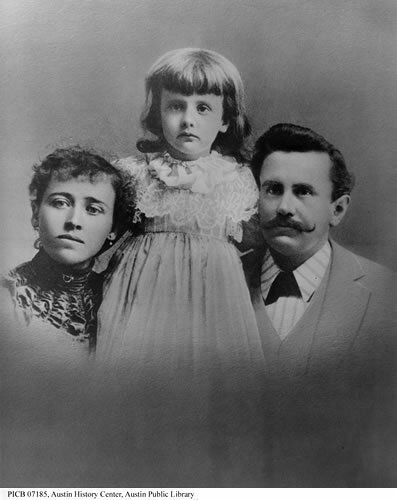 The O. Henry family in 1890s. Sarah made her living through type writing. In the cold winter times, food was a problem. She made an agreement with the Schulenburg (Shoolenberg) Restaurant near her home. According to the agreement she would type the bill of fares for their twenty one tables each day and they had to provide her with three meals a day. When spring finally arrived it had no character of a spring. The snow of January still lay there in the streets even though it was March. And spring was already delayed a little in that American City of Manhattan. When spring arrived, there were changes in the menu of the restaurant. Soups became lighter, meat dishes changed and fried foods altogether vanished. Life in distant farms in the countryside can be as calm, quiet and peaceful as a gently flowing river. While Sarah was typing the bill of fares for the restaurant, her mind flew back to the country side she visited during the last summer. Life in distant farms in the country side can be as calm, quiet and peaceful as a gently flowing river. After the tediousness and monotony of life in a city, the life in the country side seemed to her appealing and pleasant. She had there fallen in love with a young farmer by the name of Walter. 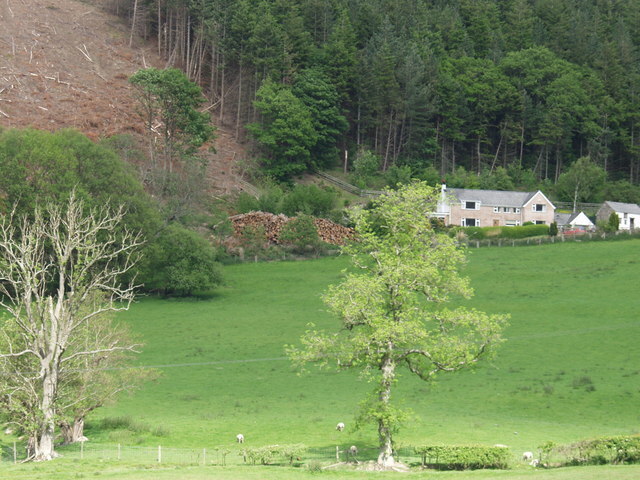 He was a very clever and modern farmer who had a telephone in his cow-house. He could even calculate cleverly the effect of Canadian wheat crops on the American prices of commodities. Heaven sent Dandelions to show how pleased and delighted the ethereal realms were with earth. Distant farms are as quiet as a flowing river. Sarah and Walter loved each other and he had decorated her hair with dandelion leaves and flowers as an expression of his love. She had left those flowers there for his caring and walked back home happily. We living in cities great and small can assume how much she might have wished to stay forever in those glens, vales and coves. How much will not an insecure girl wish for a safe and secure life under the protection of a loving husband! Her wishes were granted. They had agreed to get married in spring but he has not yet arrived in her town. 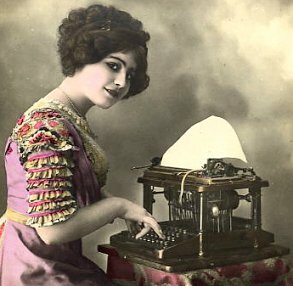 She is awaiting him and she wept on her type writer. No human beings are left alone. Teardrops of a loner are wiped away by invisible hands. Two dandelion friends catching the Sun. In the evening the waiter from the restaurant brought Sarah’s food and the next day’s menu. While typing, a dish item in the menu caught her attention. 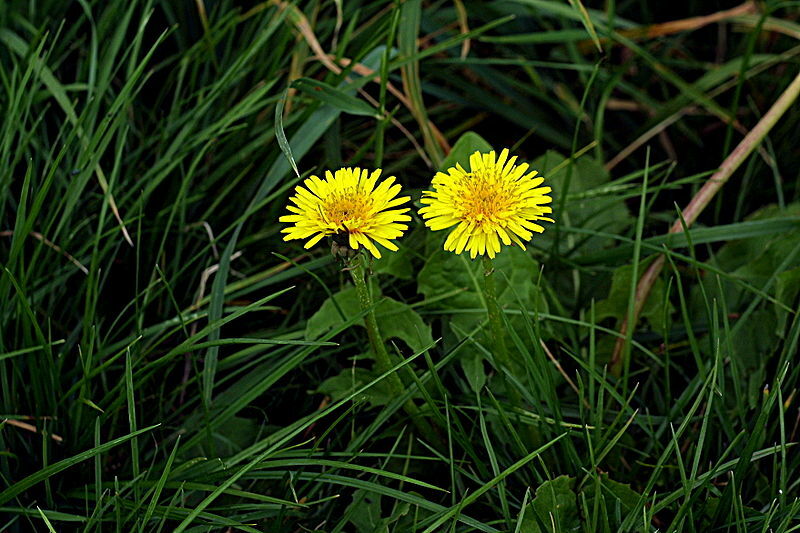 It was ‘Dandelion with Eggs.’ Dandelions are not only a food but a symbol of love also. While typing, the very word Dandelion made her remember her long awaited lover and weep again. In her grief and tears a strange thing happened. One tear drop fell on the type written menu and one word was mistyped. It is an invisible God that leads the way and walks a few miles with us. The last Typewriter Factory closed in 2011. The next day, Walter from the country side arrived Sarah’s town, Manhattan searching for her. She had moved from her old address and the letter she sent him from the new address unfortunately had not reached him. Therefore he was not in a position to know about her whereabouts. He by chance stepped into the Schulenburg Restaurant and was given a menu of that day’s dishes. But what a bill of fare! There was the all distinguishable mark of a tear drop on it. ‘Dearest Walter with Eggs’ typed in place of ‘Dandelion with Eggs’. And there was the tell tale characteristic of his lover- the capital ‘W’ typed above the line! 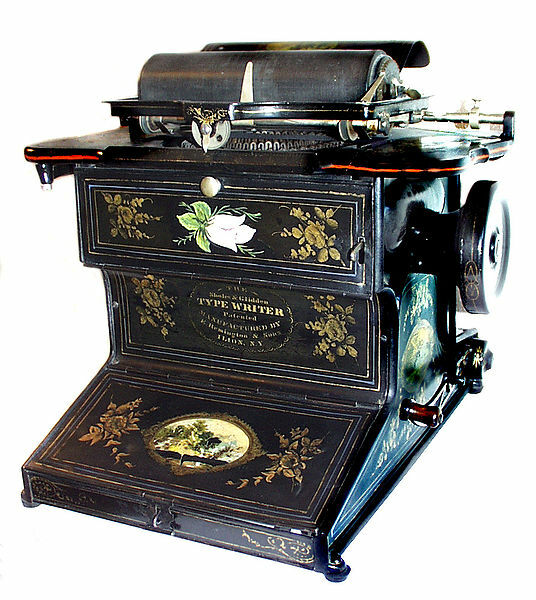 The instant he sighted this strange bill of fare, Walter knew who the typist who created this laughable thing was. Without waiting, obtaining her address from the restaurant, he rushed to her house. The Nightingale And The Rose. Oscar Wilde Story. Reintroduced. The Nightingale And The Rose. Oscar Wilde Story. Reintroduced by P S Remesh Chandran. Editor, Sahyadri Books & Bloom Books. Trivandrum. Human passions mostly are lust and licentiousness misnamed as love. Human love does not deserve the attention of the creatures of ground, sea and air. The Nightingale and the Rose is a moral short story by Oscar Wilde, the famous English writer. It is the story of the sacrifice of a nightingale for the sake of human love. The moral of the story is that human love and sacrifice are worthless, deserving not the attention of the other creatures of the ground, sea and air. Even though there always are immortal love stories among the mortal human beings, most often their passions are lust and licentiousness misnamed as love. It is widely thought that the world did injustice to this great writer. This reintroduction of his famous story is a humble tribute to this great lover of man and bird and beast. The fickle human emotion of the immature that is called love. All creatures react in their own ways. One day a young student was found weeping for a red rose so that he could present it to his lover and dance with her. The boy was such enamored with the girl that he thought, without her, his life was going to end. But in that time of the year there were no red roses. 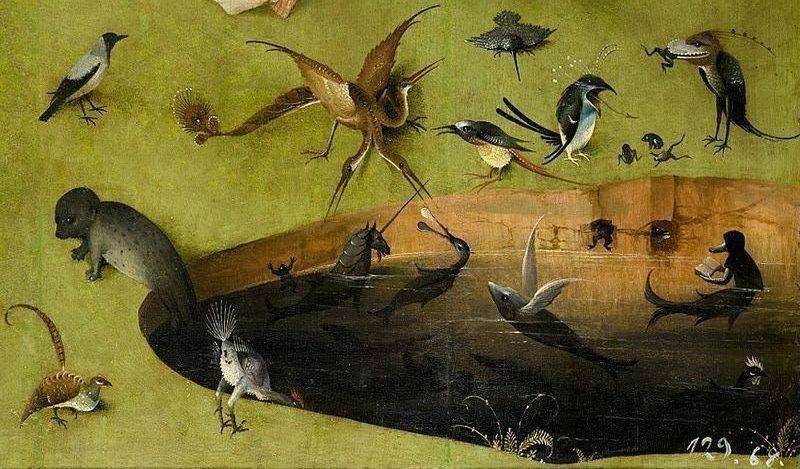 The nightingale and the other creatures in the ground, water and air who were listening to this lamentation of his reacted according to their natures. While the other creatures either ridiculed or pitied him, the Nightingale decided to help him. She straight went to a rose tree in the garden asking for a red rose for the boy-lover. 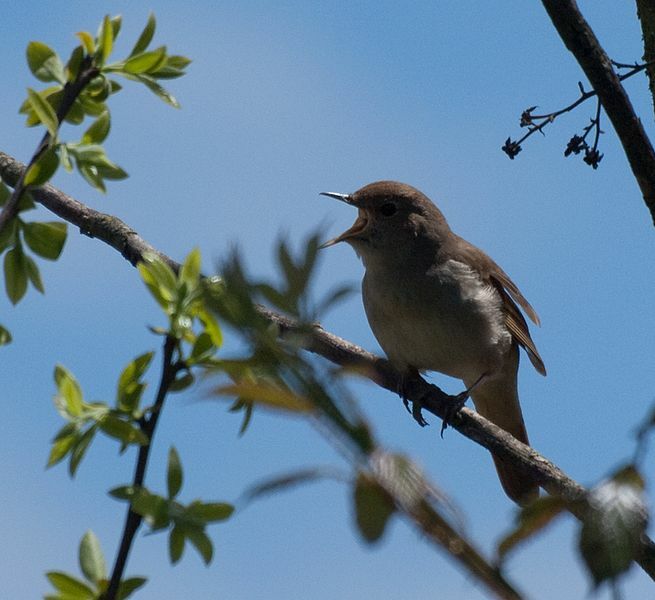 Why Nightingales alone warble unending love songs into the sky? Warbling unending love songs into the sky. The Nightingale was such an admirer of true love about which she had been singing and praising in her songs for years that she decided to help the true lover. The rose tree, though without any red flowers then, revealed to the nightingale that if she was willing enough to make a self sacrifice, she could produce one with her own blood. She only had to press her heart to a thorn and singing without stop in the moon light, inject her blood into the tree. If she could do this, a red rose will bloom in any of the branches before Sun rise. The Nightingale summarily agreed to create a red rose by paying the great prize of her life. And in that very night she caused a red rose to bloom on the tree by her self sacrifice. 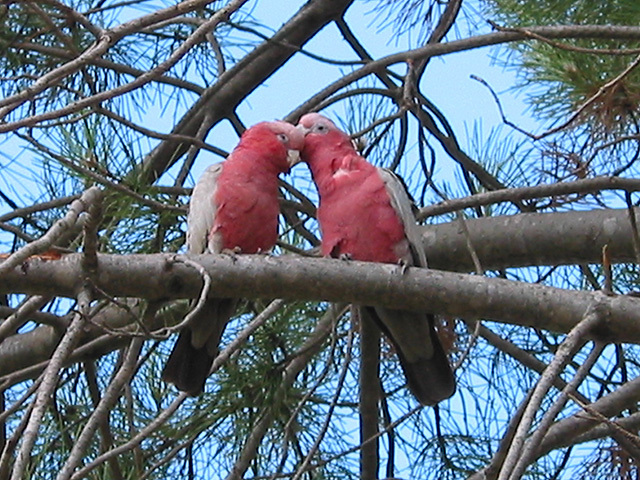 Why birds are created such sympathetic and considerate to worthless human passions? They do not change partners middle of a stream. 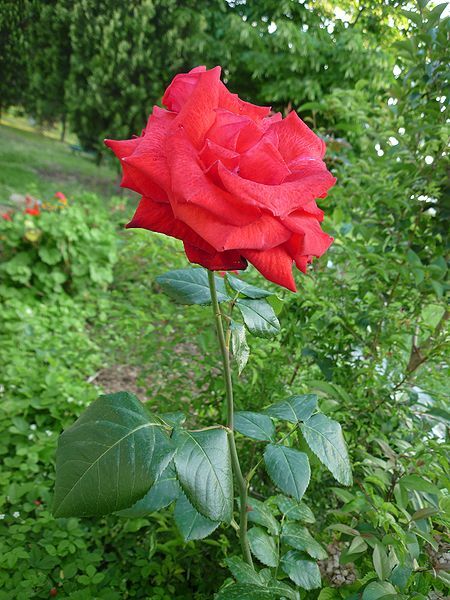 When morning arose, the boy-lover saw the red rose on the tree and rushed to his girl friend with the rose. But within that time she had promised to dance with another boy, a rich one who had offered her gold buttons instead of cheap roses. Thus the boy’s love ended in folly and disaster, unnecessarily causing the death of a Nightingale. The boy threw the precious red rose into the street where a cart-wheel went over it. We will wonder what preciousness is there in the supposed love of unripe human beings and why birds and other creatures are created such sympathetic and considerate to worthless human passions. You’re an expert in appreciating English literature. Might be, though I cannot play with words as you do.